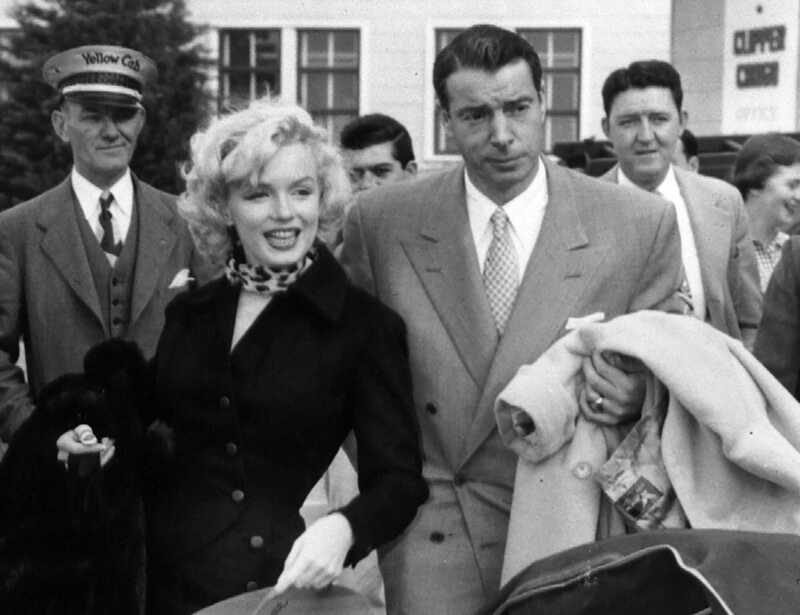 At the time Joe DiMaggio and Marilyn Monroe met, their careers were on different trajectories. DiMaggio’s star was fading; Monroe’s was rising. Joe was done with baseball, and Marilyn had no interest in the sport. Yet it was the game that brought the two together. Marilyn had done a few publicity photos with Gus Zernial, a power-hitting outfielder for the Philadelphia Athletics. A few days later, the retired DiMaggio played in an exhibition game against Zernial. The outfielder said that the Yankee Clipper had seen the shot and teased him, saying, "How come I never get to pose with beautiful girls like that?" DiMaggio learned through Zernial that press agent Dave Marsh had set up the photo shoot. 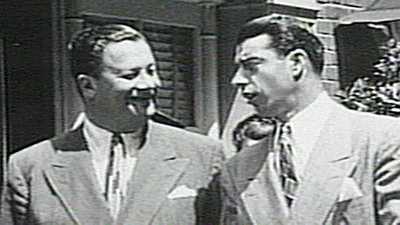 DiMaggio contacted Marsh and the two stars were set up on a date. Marilyn showed up late — two hours late — and was supposedly cool until joined by actor Mickey Rooney, who spotted the couple across the room. Rooney, a baseball fan, began regaling DiMaggio’s exploits. Rooney’s fawning is said to have piqued Marilyn’s interest. Marilyn drove Joe home that night. In his book, "Where Have You Gone, Joe DiMaggio?" writer Maury Allen reports that Marilyn said to Joe, "I’m sorry I don’t know anything about baseball." 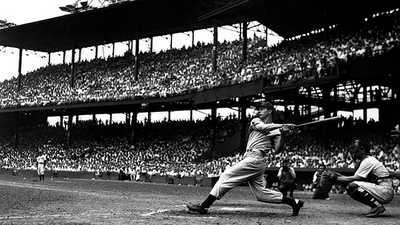 DiMaggio replied, "That’s all right. I don’t know much about movies." After their night out, DiMaggio came on with the determination that he used to show as a base runner. He called later that same evening, and every night for two weeks. She refused every invitation. Finally, DiMaggio called no more. A week went by before they spoke again. This time Marilyn called Joe. The bi-coast dating began. Not much later, Joe was seen on the sets of Marilyn’s movies. In New York City, Joe used to bring his new date to Toots Shor’s for an evening on the town. The attraction? Marilyn liked older, successful men. They say he brought her a sense of security. Joe liked blondes, especially show business blondes. Marilyn turned out to be more than another conquest. She would become the woman DiMaggio loved more than any other. On January 14, 1954, the two were married in a small civil ceremony out of the spotlight, a rarity for both of them. DiMaggio’s friend Reno Barsocchini made the arrangements for a wedding at San Francisco City Hall. Barsocchini and DiMaggio’s old Seals manager Lefty O’Doul and his wife were the only others, besides the couple and the judge, in attendance. Afterwards, someone asked, "How many kids do you want?" "I’d like to have six," Marilyn said. "At least one," DiMaggio added. "I’m going to continue my career," Marilyn explained. "But I’m looking forward to being a housewife too." With those dreams, America’s most famous couple sailed into marriage. 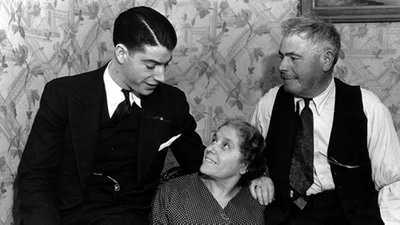 As a young man, Giuseppe DiMaggio, Joe DiMaggio's father, was a fisherman on a small island off the coast of Sicily. What Made DiMaggio a Great Player? Those who saw him say he earned his title as "The Greatest" the old-fashioned way: play by play, game by game, and season by season. In the 1930s and 1940s, Toots Shor’s restaurant was the place to be in New York City.